Magnetic back support belts are great for back pain but can also help avoid back pain by wearing them when you travel. I have recently come back from a holiday which involved two long hall flights and I used a magnetic belt as well as a heat patch for both journeys. I am firm believer that if you go armed with a few different types of pain relief you can manage a journey pain free. I would never travel without my coccyx cushion and have worn heat pads for a long time now but previously I wore a support back girdle which was made for me after one of my spinal surgeries, but it was far from comfortable to wear. The Bad Back Company have a vast array of products for pain and their Back Support Belt has 20 High Grade ceramic magnets that generate a constant magnetic field over your low back. It costs £39.99 and you will never need to re charge the magnets. Their belt has a high quality adjustable support in a double layer for varied degrees of support and compression for your back. There are also a number of other Back Support Belts without the magnets also available from The Bad Back Company. Heat has always helped me and it has 3 flexible boned supports to support your lumber spine and keep your muscles and joints warm to reduce muscular spasm or discomfort. Please check their caution note for people who have pacemakers, defibrillators, insulin pumps or similar devices that are powered by a battery whether as an implant or an external unit. It is also not recommended for use during pregnancy. You can also watch a video about the back support on The Bad Back Company page. The heat pads I use the Thermacare Advanced Back Pain relief pads which last up to 16 hours and are available from Amazon at £5.50 for 2. The Chinese use magnets, as well as acupuncture, and say the difference is just that needles work faster, but that magnets applied correctly are just as effective for some complaints. They also think that the magnets are thought to stimulate the body’s ‘chi’ to promote healing. Apparently, Cleopatra is said to have worn a polished lodestone on her 3rd eye to maintain her beauty! Although magnets became popular in the 19th and 20th centuries, the medical profession was against the use of them, but since then, magnets and magnetic products have become more and more popular with an increase in scientific studies showing the effectiveness of them. At the moment the jury is still out as to whether the use of magnets for health problems is truly beneficial or just provides a placebo effect. But, unless people continually try out these different types of therapies for pain, we cannot get scientific research and feedback produced. A company who deal in magnets Synergy For Life say that ‘Therapeutic magnets deliver results – quickly, quietly, and inexpensively. Our products may be used over and over again by every member of your family.’ They have magnetic applications for every joint and muscle, as well as magnetic sleep and seating systems.As we enter a new era in self-managed health care, “soft” medical alternatives are preferred over drugs and surgery. Biomagnetic and electro-medical therapies are among the fastest growing “soft” modalities. Magnecare is a great UK site which sells all types of magnets for pain. ‘Dr Philpott emphasises; “The magnetic bed places the entire body in a negative magnetic field all night; a natural sleep inducing, stress reducing anti-inflammatory environment”. 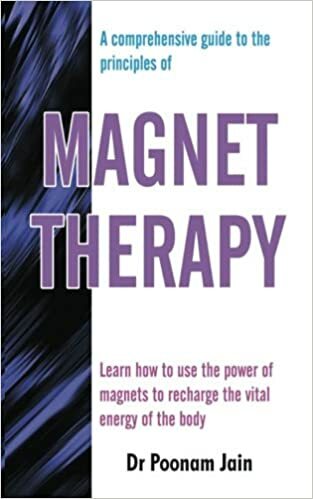 A great book on the subject is Magnet Therapy by Dr. Poonan Jain – This book presents the basic principles underlying magnet therapy in a clear and concise manner. It seeks to explain how the power of magnets can be usefully employed to treat illnesses and restore health and well-being. On a personal note I have friends who swear by magnets for pain (especially arthritis sufferers) but although I like an eggshell mattress topper I found the magnet one hurt parts of my body.